The Titans host the Panthers at CBUS Stadium in round 22 of the NRL. With a new coach at the helm, the visitors face a tricky assignment against a hot and cold Titans team. The Titans have shown plenty of improvement this season but have struggled for consistency. The Gold Coast recorded an impressive 36-12 win over the Warriors, before losing to the Eels last week 28-12. 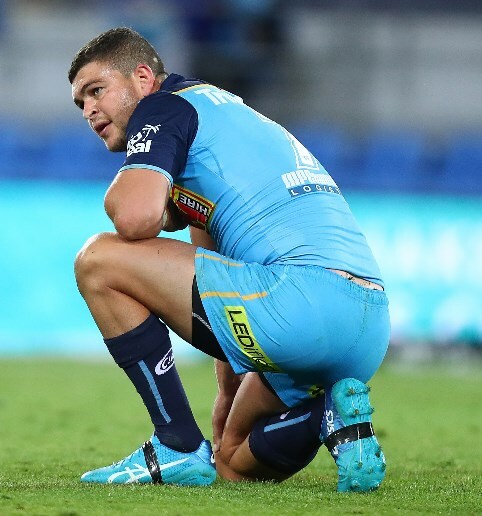 Basic errors and discipline continue to be an issue for the Titans, with 14 handling errors and nine penalties putting them on the back foot against the Eels. Halfback Ash Taylor has shown some ability at as a playmaker this season with 17 try assists but has made 33 errors in play. Basic skills errors are stopping the Titans from applying any real pressure to the opposition over 80 minutes of rugby league. The Panthers made headlines off the field this week parting ways with coach Anthony Griffin. Cameron Ciraldo takes the coaching reins until the end of the season and I expect the Panthers to be fired-up in his first game in charge. Penrith continues to press their claims for a top-four finish with another come from behind win over the Raiders last week, 40-31. Defence continues to be an issue for the Panthers, conceding 55-points in their last two outings. If the side can tighten their left edge defence then the Titans will struggle to apply scoring pressure. James Maloney and Nathan Cleary continue to provide Penrith with a real x-factor. Maloney grabbed a try and an assist in the win over the Raiders. NSW forward Reagan Campbell-Gillard returns to the run-on side in place of Moses Leota in Panther's only change. These two sides have played 17 times with the Panthers winning 11 and the Titans recording 6 wins. The Panthers saluted in their last outing against the Titans in round 6 at Penrith Stadium winning 35-12. The Panthers have a clear advantage in the halves with NSW pair Nathan Cleary and James Maloney in form at the business end of the season. Penrith have played some consistent football lead by a strong forward pack that has made plenty of metres through the middle of the ruck. Tyrone Peachy grabbed two tries last week against the Titans and expect him to take advantage against a lazy Titans ruck defence. The Titans have conceded 185 penalties this season and some smart play could gift the Panthers easy points. The Titans have conceded 24.6 points per match this season. The Titans have made 224 errors in play, the 2nd highest in the NRL. The Titans' Ash Taylor has made 16 handling errors this season.. The Panthers have scored 22.5 points per match this season. The Panthers have won 5 of the last 7 matches against the Titans. Tyrone Peachy is the leading try scorer for the Panthers with 9 tries this season. The Titans have put in a Jekyll and Hyde performance over the last two weeks. The side put 28-points on the Warriors two weeks ago and then were hammered by the lowly Eels last round. The experience of James Maloney gives Penrith a real edge in experience and they have put in some gutsy performances over the last two weeks. The Panthers should get the job done on the road.